This item will ship on Monday, April 29. 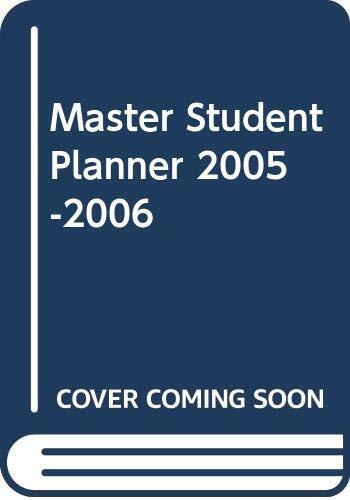 The Master Student Planner allows students to apply new study and organizational skills to their daily lives. This 18-month planner can be used by any student who needs help establishing priorities, maintaining an effective schedule, or achieving long-term goals. Ten pages of organizational tools have space for class schedules, semester planning, financial aid information, and a personal directory. Over thirty pages of helpful Student Success tips are featured in the introductiontopics include Setting and Achieving Goals, Using Test Time Efficiently: Proceed with a Plan, A Major Decision: Thinking Early and Often About Major and Careers.